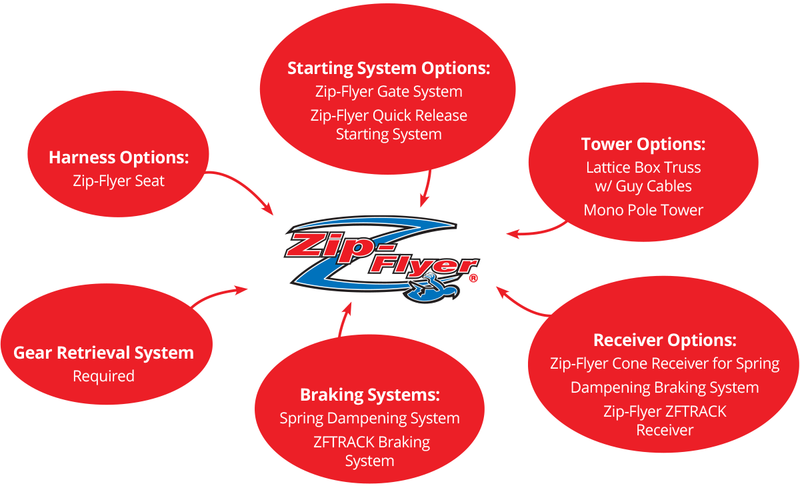 The patented Zip-Flyer System is the automated amusement-park style zip line built for long rides and steep grades. The Zip-Flyer Trolley uses a friction brake, which controls the speed of rider’s descent as they travel down the line. The trolley and harness never leave the zip line cable, simplifying operations. The Gear Retrieval System (GRS) quickly resets the gear, and our patented braking system ensures rider safety. The one-size-fits all custom-manufactured Zip- Flyer Seat Harness, inspired by paragliding harnesses, is comfortable and easy to use.